Mirror Lakes' most popular, largest ''Kissimee'' model. 2BR, 2BA, garage, & two covered screeened patios. Job-relo sellers have recently made many updates & improvements, incl. roof & A/C compressor 3 years ago, impact windows, wood cabinets in kitchen & W/D 2013, full suite of quality stainless kitchen appliances 2019, & brand new poured concrete drive. Srceened entry & rear patios, w/ lovely SE exposure. Quiet canal lot has fenced dog run & can be entirely fenced. Charming, pet friendly, 55+ community, of just 238 homes is gated and convenient to shopping, dining, beach, airports. Stroll tree lined streets & waterfront walkways to pool, clubhouse, tennis & more. Low HOA fee includes cable/HBO/lawn watering. 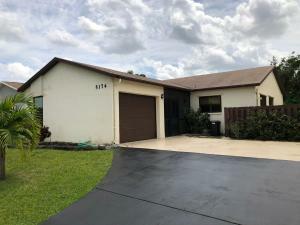 This home is located in MIRROR LAKES 1 55+ Active Adult Community. As an Active Adult Community Specialist for over 16 years, I know these communities very well. I am a real estate agent who cares. I don't just want to sell you a house, I want to sell you the perfect home that will fit your needs as well as your lifestyle. I live and play in an active adult community and the lifestyle is wonderful. Country Club living without the country club fees. To All of my baby boomers not quite 55 years old who want to live in a 55 plus community, please call me for a list of Active Adult Communities that will allow you to live in some of these wonderful communities! Please call me with any questions that you may have at (561)-306-7430.